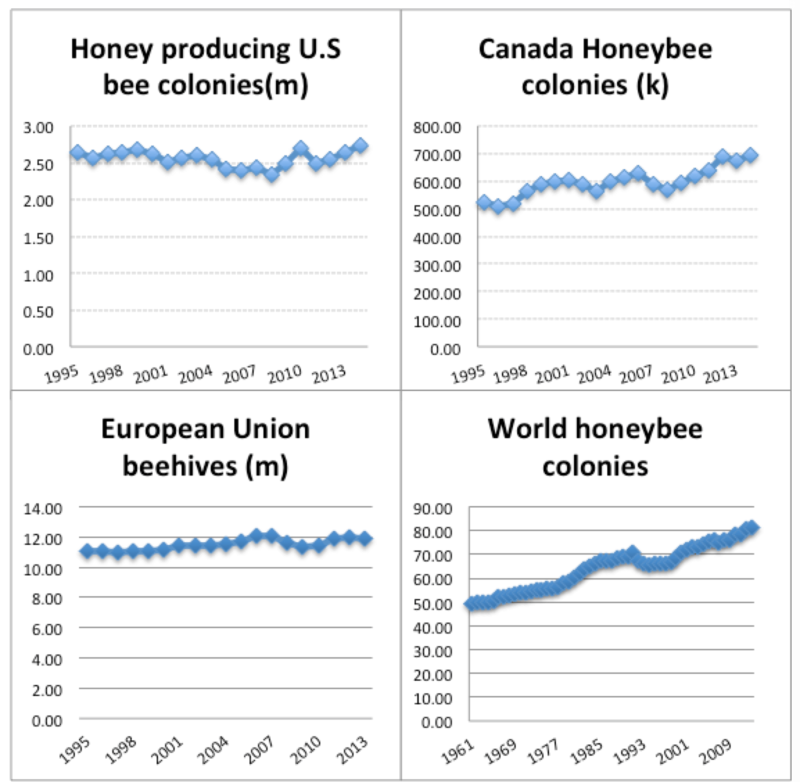 Furthermore, the worldwide trajectory for bee colonies has been upward for over half a century. Honeybees are not on the verge of extinction or irreversible decline and the world will not face mass starvation. That’s just scare rhetoric. Large-scale field studies – four in Canada, one in the UK, four in Europe, most done under Good Lab Practices — have reached the same conclusion: there is no observable adverse effect on bees at the colony level from field-realistic exposure to neonicotinoid-treated crops.